3 jaw plier ? Short. 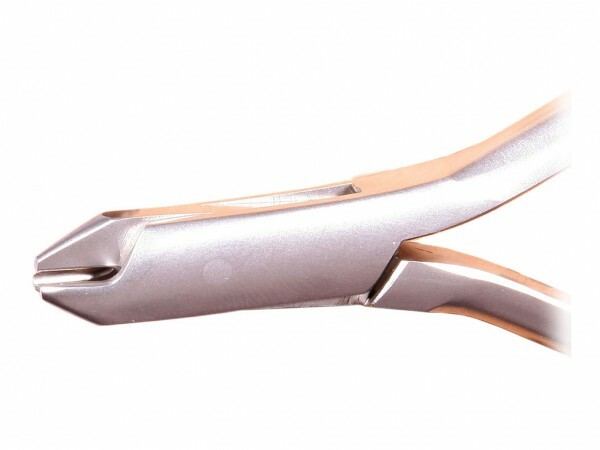 Lightly rounded tips, for contouring and bending without damaging the archwire.